I would love to join any other advisors who have issues with FINRA. 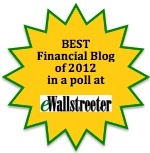 I am a former CPA.PFS financial advisor with Morgan Stanley. I too went through a long and expensive FINRA process. The lawsuit filed by New York Attorney General Eric Schneiderman against Barclays for ‘pernicious fraud’ in the operation of its dark pool sent shock waves through Wall Street yesterday. The equity valuations for a number of large Wall Street banks declined significantly under the premise that this lawsuit will impact their own business operations in a negative fashion. Beyond that, though, many might think serious allegations of lying, blatant misrepresentations, fraud, self-dealing, predatory practices aka high frequency trading, investor abuse, and the like mean one thing: just another day on Wall Street. Real leaders and financial cops very much appreciate that principle. Those playing politics and crony capitalism circa 2014 find it to be anathema. Why is it that bad practices on Wall Street (e.g high frequency trading, abusive sales practices, market manipulation) are too often tolerated in Washington while costing ordinary Americans untold sums? Very simply, when the punishments do not fit the crimes the practices will perpetuate. The penalties become little more than a cost of doing business. Those ‘writing the tickets’ are little more than meter maids. In today’s version of “You Can’t Make This Stuff Up,” we hear from Brad Bennett, the Head of Enforcement at Wall Street’s self-regulatory organization FINRA. Bennett and others spoke on a panel this past Friday at a conference sponsored by the Practicing Law Institute. Of all the questions facing investors these days, I would think two of the most important are: (1) with whom are you doing business? (2) how much are you paying for the investment product being pitched to you? Watch this 6-minute clip and you will understand why I write at length, both at my blog and in my book, on the need for real transparency on Wall Street and especially within the regulatory system so as to help people avoid the perils and pitfalls that inevitably come their way when unsavory characters call on them. I touched on this topic a few weeks back to expose the fact that Wall Street’s self-regulatory organization FINRA allowed close to 97% of the data on its Broker Check system to be “expunged” over a two and a half year period (mid-2009 to late 2011). What might they have allowed the industry to hide in doing so? Even the host takes a less than subtle shot at FINRA in this segment. 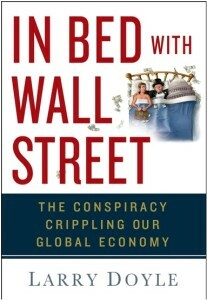 I appreciate anybody who takes the time and makes the effort to read and review my book, In Bed with Wall Street. That said, I deeply appreciate those who in reading my book really seem to “get it” and are then willing to lay it on the line in “delivering it” in their review. On that note, Mark Melin of ValueWalk goes to the front of the class.